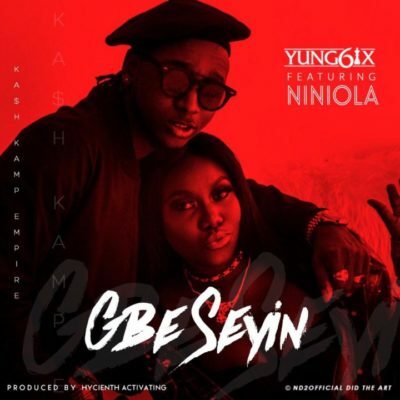 Yung6ix has just released a new tune and this one is called, “Gbe Seyin”. Still basking in the euphoria of owning his label, he teams up with talented singer, songwriter and performing artiste Ninola. 6ix is gearing up for the release of a new body of work, an album he has already titled, “High Star”. This collaboration with the Afro-House queen is expected to be compiled with the other joints in the album. The song was produced by talented fast rising music producer, Hyacinth Activating. Cop the song below, listen, enjoy and please let us know what you think of it in the comment section.